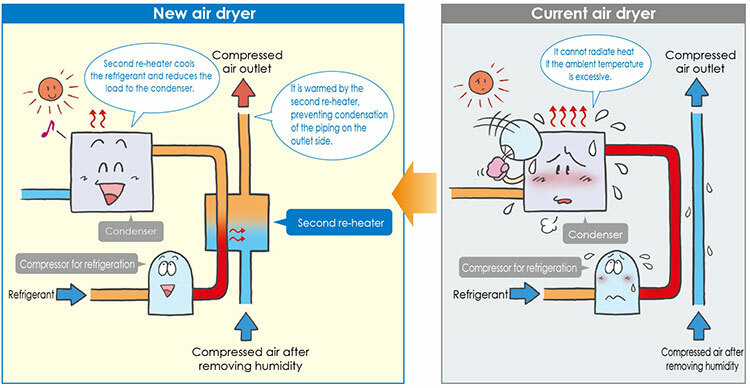 Protect Pneumatic Equipment from Moisture! 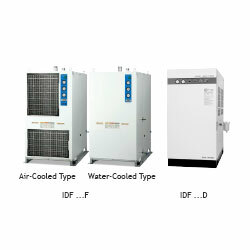 Tolerant of high temperature environments! 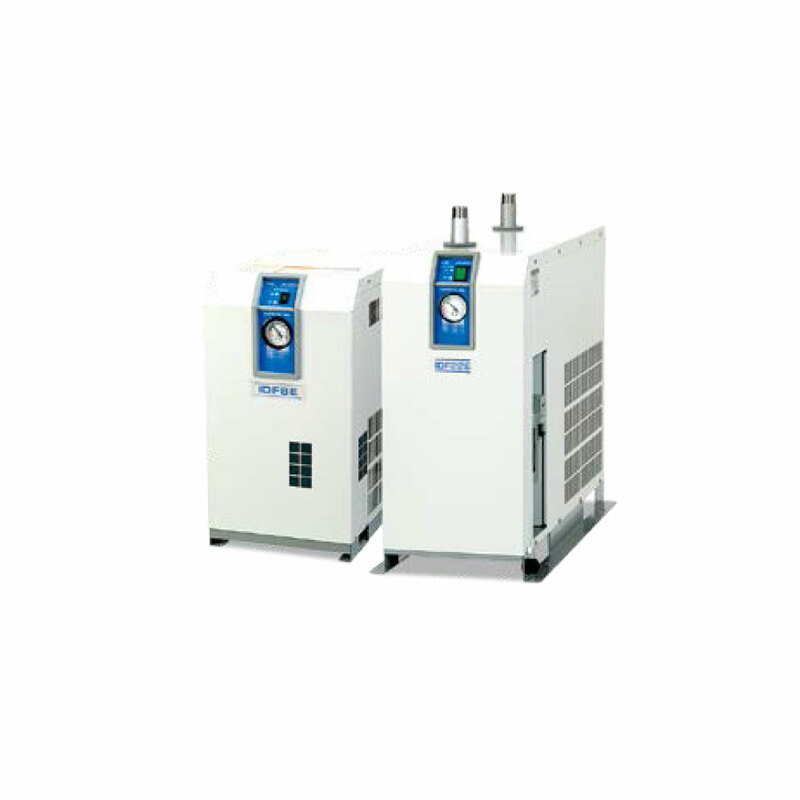 Protec Pneumatic Equipment from Moisture! 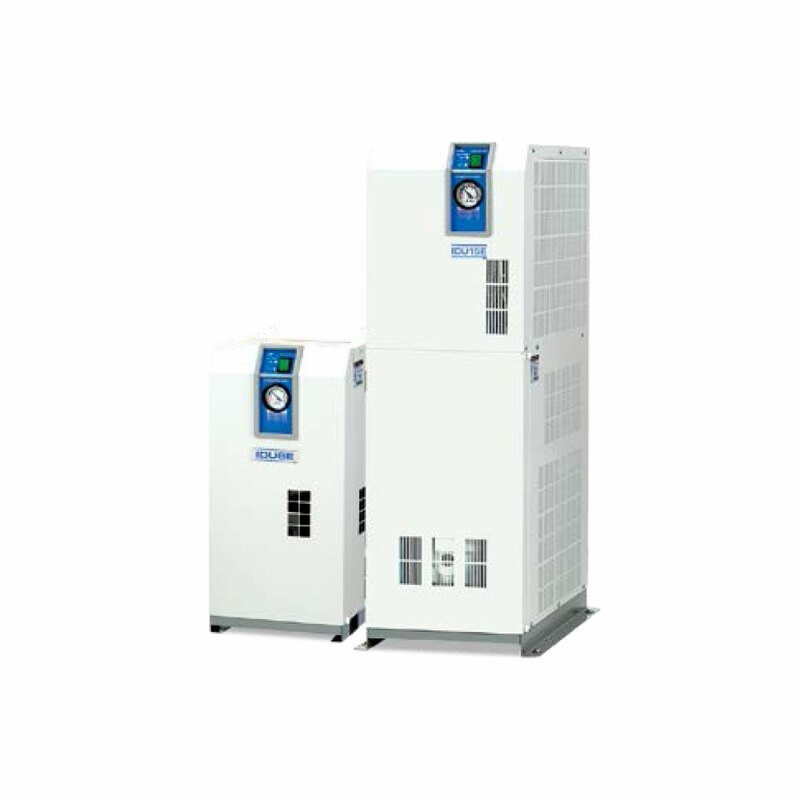 Tolerant of high temperature environment (ambient temperature 45°C), Energy Saving Design! 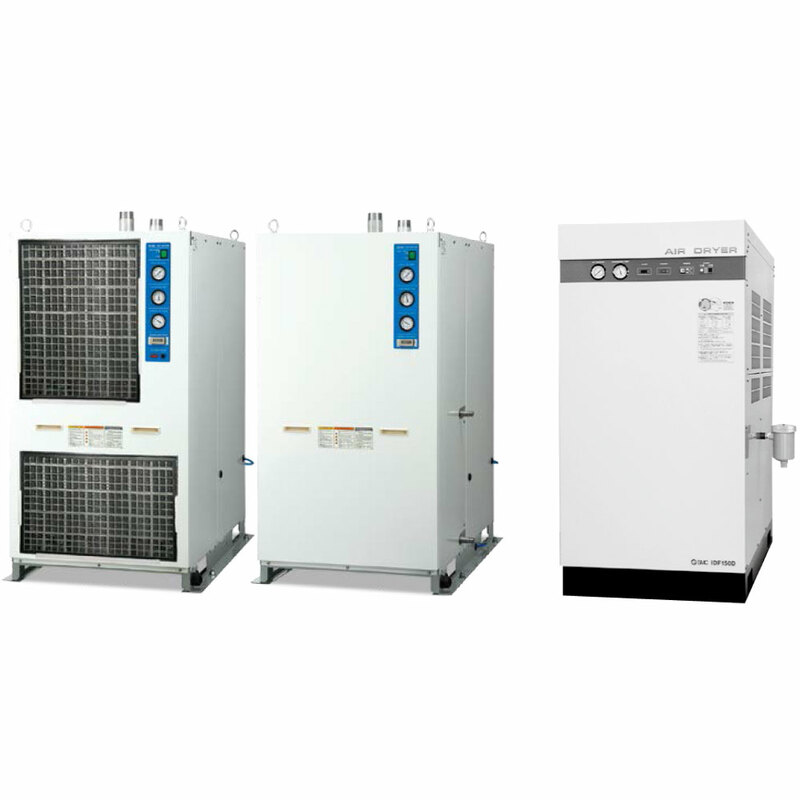 Suppresses ambient temperature increase (air-cooled type)/ Reduces amount of facility water (water-cooled type)! 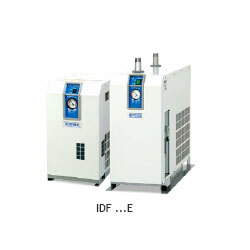 The air dryers (CE or UL compliant) conforming to the international standards are separately available. 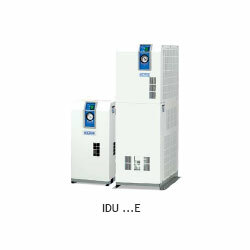 Tolerant of high temperature environment!